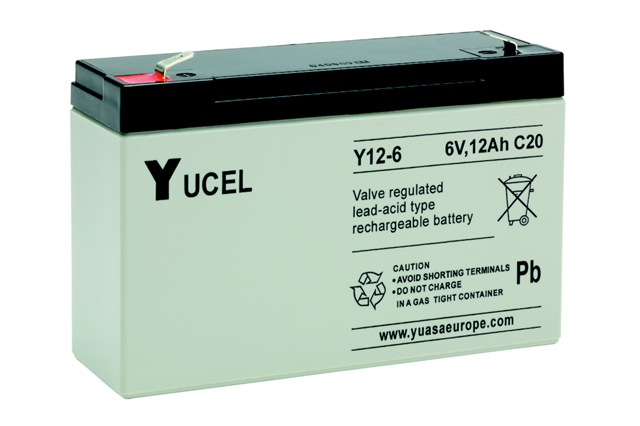 The Fiamm FG11202 is a 6V 12Ah sealed lead acid battery bloc from Blue Box Batteries offering a 5 year design life and is suitable for a multitude of applications such as UPS, fire alarms, security equipment, emergency lighting and household toys. 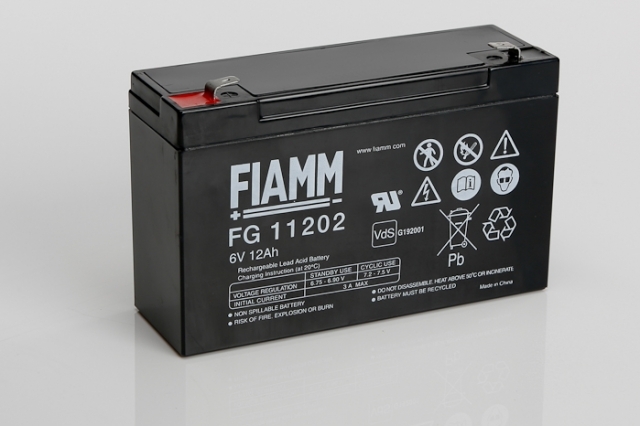 Manufactured with touch ABS material to a universal box size, the Fiamm FG11202 is suitable to replace any 6V 12Ah battery equipped with an 6.3mm ‘F2’ wide faston terminal. Blue Box Batteries are an approved Fiamm battery distributor, our partnership with this proven and respected manufacturer enables us to be well placed to provide our clients with the best product specific advice and service possible. 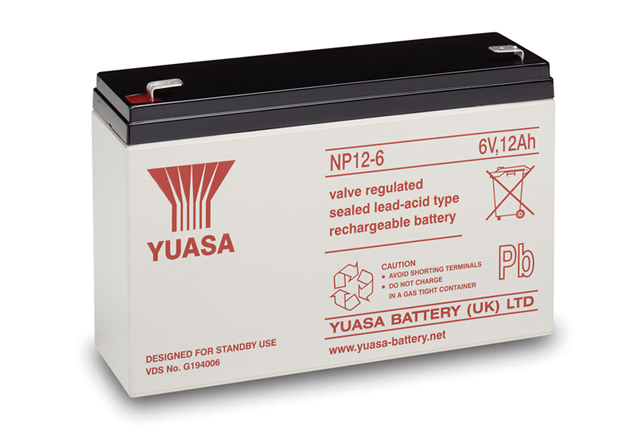 The Fiamm FG11202 is currently out of stock however please see the alternative Yuasa NP12-6 detailed below. Will this battery arrive to me fully charged? The battery will in 90-95% state of charge approximately, we recommend charging before use if possible. Please contact us on 02381 789197 should you require advice on using the correct charger for your battery. Does this battery replace the Fiamm FG11208TT? Yes, the FG11208TT is installed in many toys, such as electric cars & bikes, and can be replaced with the FG11202. Can this product be operated on its side? Yes, the Fiamm FG11202 is a sealed product and can be operated safely on its side.